Vertebrae Components » Eco-friendly packaging! Earlier this year, I finished reading a book called “Cradle to Cradle; remaking the way we make things” by William McDonough. It outlines a process for what is now called “regenerative design”. The author argues that product designers should take the environment into account at every single stage of a product’s design. As a former Materials Scientist, I found this new concept very inspirational. Indeed, I know all too well about the environmental impact of materials. I have always supported reducing, reusing and recycling. But this book really got me to think a lot more about the environmental consequences of all the phases of a product’s life-cycle. The aim of regenerative design is to minimise [or preferably eliminate] the contamination of our natural environment during the production, distribution and disposal of a product. While I was reading this book, I started looking at many other products to see if they embraced the Cradle to Cradle mentality. Not just bicycle components, but anything and everything being sold. I looked at all the stuff being sold on supermarket shelves. I looked at office products. I looked at furniture. I soon realised that –unfortunately– most things are not designed with this concept in mind. I’d see that a product might say that it can be recycled, but it is not made of recycled ingredients. Or something might say that it has been made with recycled components, but cannot then be recycled. One of the benefits of being the owner of a small business rather than an employee is that owners have the final say in the decisions they make about their businesses. Owners have the power to take a company in their own direction. So I’d like to take this company down a more ecological, more sustainable path. One way to do that is to make our products last as long as possible. But we already have the longest-lasting cable housing on the market and the truth is that I don’t really know how to make our products any better [at least until nano-scale engineering comes along]. They also drummed into us the importance of environmentally-friendly packaging during my recent graphic design course, because packaging waste makes up the majority of landfill. Unfortunately, much of what we put in our recycling bins (in Australia) is not actually recycled. While I find it hard to believe -apparantly- most of it is still sorted by hand. So it’s impossible for all the little bits of plastic and paper to be sorted correctly. Our council does not recycle plastic bags. So a lot of it still ends up on the rubbish heap. I have taken a long hard look at our current packaging and realised that it fails in many areas. Up until now we have been using clear plastic pillow boxes, LDPE plastic zip lock pags, and PVC tape. Most traditional plastics, even plastics labelled ‘biodegradeable’, take a long time to degrade. What biodegradeable means [in chemical terms] is breaking apart into smaller and smaller molecules. Polymers do this ‘naturally’ by oxidisation, UV degradation, ozone, heat and a load of other mechanisms. Usually the manufacturer adds an degradation accelerant or changes the structure slightly so it breaks apart more easily. Even so, long-chain polymeric molecules in polyethylene (for example) don’t really degrade as such. To my knowledge, organisms still can’t digest it. One alternative is to make plastic compostable. With this in mind, I went on an eco-mission to find substitutes for all of out packaging materials. By far the easiest thing to change was the paper we print our instructions on. 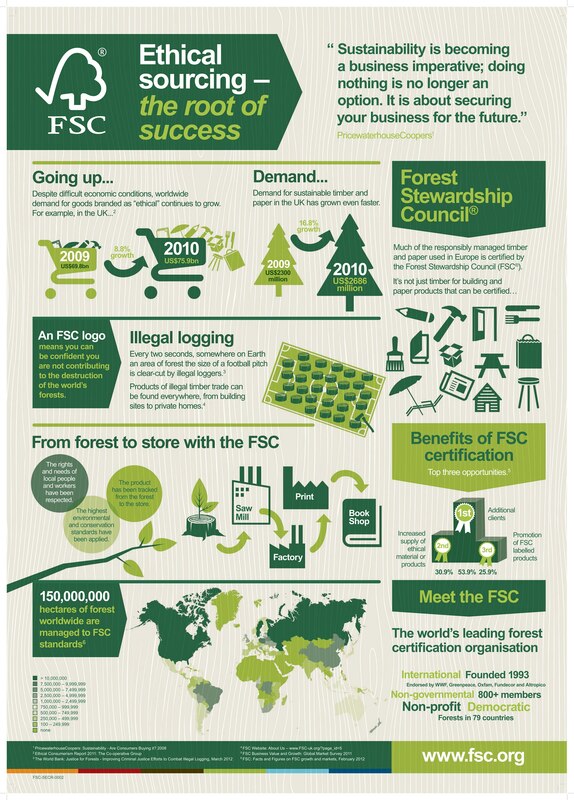 I am pleased to report that we are now using Quill paper which is sourced from FSC-certified forests. 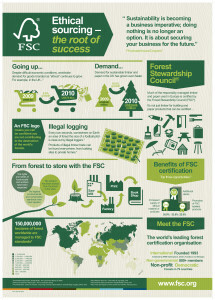 According to Greenpeace, FSC is a more rigorous standard then PEFC. We are also in the process of producing totally recycleable and compostable packaging by March 2016. So you will be able to take your Vertebrae packaging, literally throw it in your compost bin and there shouldn’t be anything left of it within about 6 months. I will give more information about the new packaging in a few months because we still have to wait for our existing stock of packaging to run out.